Harrison’s widow, Olivia, and their son, Dhani, Eric Clapton, and Jeff Lynne were the musical directors. They enlisted a remarkable bill: performers also included his Beatles’ mates, Paul McCartney and Ringo Starr, fellow Traveling Wilbury Tom Petty, Billy Preston, various members of Monty Python (whom Harrison had befriended), Procol Harum’s Gary Brooker and many more. The setlist included a Harrison career retrospective including songs recorded by The Beatles:”I Want to Tell You,” “While My Guitar Gently Weeps” (featuring Clapton on guitar, McCartney on piano and Starr on drums), “I Need You,” and “Something,” among others. The evening’s repertoire also included recordings Harrison made with the Wilburys (“Handle With Care”), his solo work (“Isn’t it a Pity,” (“Give Me Love [Give Me Peace on Earth]”) and more. Profits went to Harrison’s Material World Charitable Foundation. Less than two years later, many of these same legends performed at Harrison’s 2004 induction into the Rock and Roll Hall of Fame. 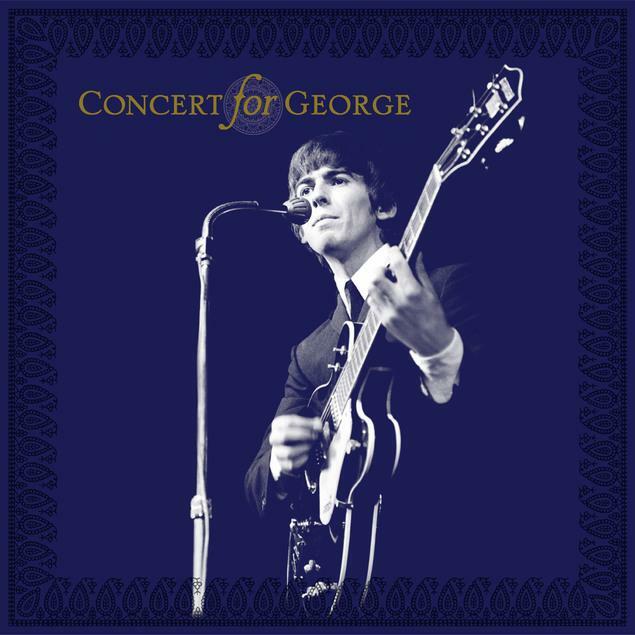 The Concert For George was re-released for Harrison’s 75th birthday on February 23, 2018. I was fortunate to be near this production and worked on the theatrical distribution. It was one of my favorite projects ever. At the LA premiere after party I noticed a guy sitting alone, who had shined moments before onscreen. I spent a thoroughly enjoyable time chatting with Billy Preston, the only person to be co-credited on a Beatles single. He was great in Concert foe Bangladesh and great in Concert for George. RIP.